Despite Executions, Death Penalty is in Decline in the "New Georgia"
Although Georgia carried out 5 of the 28 executions in the U.S. in 2015, it imposed no new death sentences and a significantly changed legal landscape points to a "new Georgia" with the death penalty in decline. The Georgia legal publication, Daily Report, dubbed the decline in death sentences its "newsmaker of the year," and explored the reasons for the change. Jerry Word, the division director of the Georgia Capital Defender, said that with the Defender's early intervention initiative reaching out to prosecutors to present reasons to decapitalize a case, prosecutors agreed to drop the death penalty in all 29 of the cases his office handled this year. The only capital case that went to trial with the death penalty as an option was a case in which the defendant represented himself, and the jury handed down life without parole. In 2014, only one of the state's 19 potential capital cases ended in a death sentence and only one of the last 71 capital cases the capital defender has handled has resulted in a death verdict. Several factors have created the new landscape and contributed to the reduction in death sentences. Word said these include the cost of death penalty trials and the efforts by defense counsel to present prosecutors with mitigating evidence early in the process. But, he said, "I think the LWOP [life without parole] is the really big one. We've had that for six years now, but we've really just started seeing the impact in the last few years." Chuck Spahos, executive director of the Prosecuting Attorneys' Council of Georgia, agreed that life without parole had played a significant role: "I certainly think things changed dramatically when the Legislature gave us the life without parole option," he said. Similar factors have contributed to death penalty declines in historically active death penalty states like Texas and Virginia. Sara Totonchi, executive director of the Atlanta-based Southern Center for Human Rights, said "Georgia is in step with the national trend of declining use of the death penalty. The continued marginalization of the death penalty is not surprising given growing concerns about its implementation, particularly with regard to the potential of an innocent person being executed and the prevalence of botched executions as states experiment with lethal injection drugs." "[E]lectoral pressures influence judges' decisions in capital cases," according to a new report by the Brennan Center for Justice at the New York University School of Law. That report, How Judicial Elections Impact Criminal Cases, surveyed numerous empirical studies that had reviewed the effects of judicial elections on outcomes in criminal cases. The vast majority of criminal defendants - including capital defendants - face elected judges at trial and on appeal. According to the report, 87% of state judges face election, and 94% of felony convictions are tried in state courts. The report found that "the pressures of upcoming re-election and retention campaigns make judges more punitive toward defendants in criminal cases" in general, but that these pressures also produced identifiable effects in death penalty cases. First, electoral pressures affected trial judges in capital cases. "In Alabama, with its unique system of judicial override, trial judges are more likely to impose death over jury verdicts of life imprisonment during election years," the report said. The report also found that "appellate judges facing re-election are more inclined to affirm death sentences, and less inclined to dissent from orders affirming them." Referencing a recent Reuters study, the report said states with elected supreme court justices had substantially lower rates of reversing death sentences on appeal than states with appointed justices. Justices who ran against other candidates for office were the least likely to vote to reverse a death sentence (11%), and those who faced retention elections reversed only 15% of the time. Justices who were appointed were comparatively more likely to vote to reverse death sentences (26%). The report concludes, "Empirical studies across states, court level, and method of election find that proximity to re-election makes judges more punitive — more likely to impose longer sentences, affirm death sentences, and even override life sentences to impose death. Without reform, terms of incarceration and executions will continue to be determined, in part, by the decision-maker’s proximity to re-election." The counties in the United States that have the highest per capita rate of killings by police officers also rank among the highest in the country in the number of people sentenced to death. In his criminal justice blog, "The Watch," for the Washington Post, Radley Balko details the "remarkable correlation" between killings by police and death sentences imposed. "There are more than 3,000 counties in the United States," Balko writes. "But the 13 with the highest rates of police killings are not only all in death penalty states; they also all rank among the top 30 in death sentences meted out over the past 40 years." These jurisdictions, which Balko describes as "America's killingest counties," all rank among the 2 percent of U.S. counties that account for more than half of America’s death row population. Balko focuses on Kern County, California, where police have killed more civilians per capita than anywhere else in the country - 0.9 police killings per 100,000 residents - even though the city’s overall murder rate is, Balko says, "right at about the national average." Kern "has also sent 26 people to death row since 1976, putting it among the top 25 in the country." In explaining the correlation between police killings and death sentences, Balko notes that "the counties that send the most people to death row also tend to be counties with histories of prosecutorial abuse and misconduct." He suggests that, as "the chief law enforcement officers within their judicial districts[, district attorneys] set the tone for the entire area. They’re also typically in charge of investigating officer-involved shootings and other allegations of excessive force. It isn’t difficult to see how when a DA takes a 'win at all costs' approach to fighting crime, that philosophy would permeate an entire county’s law enforcement apparatus, from the beat cop to the DA herself or himself." A new study by University of Virginia law professor Brandon Garrett (pictured) shows a dramatic decline in the death penalty in Virginia over the last decade. Virginia has carried out the third highest number of executions since the 1970s and historically has executed a higher percentage of its death-row prisoners than any other state. However, Garrett said there are now fewer than two capital sentencing trials per year and Virginia juries have not imposed any new death sentences since 2011. Reviewing Virginia capital proceedings from 2005 to 2014, Garrett found that "[a]lmost all capital cases are now plea bargained," with only 21 proceeding to a capital sentencing hearing. 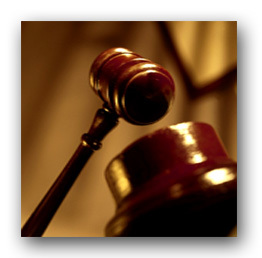 Juries imposed life sentences in more than half of those cases. Garrett found troubling trends in the evidence used in capital cases, which relied frequently on forms of evidence that have been found to be unreliable or susceptible to abuse, such as unrecorded confessions to police, informant testitmony, or eyewitness identifications. He also found significant geographic disparities in death penalty verdicts. 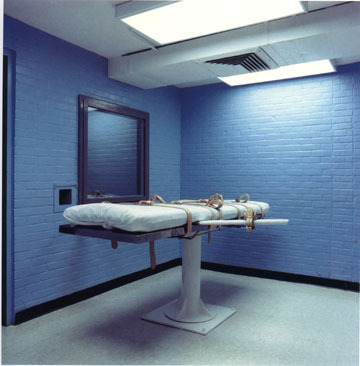 “The ‘new’ Virginia death penalty is almost never imposed and when it is, a death sentence is so freakish that it raises the constitutional concerns with arbitrariness under the Eighth Amendment that U.S. Supreme Court justices have long expressed,” Garrett said. “Virginia may be a bellwether for the future of the American death penalty.” The study also compared sentencing proceedings in the past decade with 20 capital trials from 1996 to 2004 to try to explain the drop in death sentences. Garrett concluded that improved representation - both leading to pleas and in performance at trial - was the primary factor in the decline.